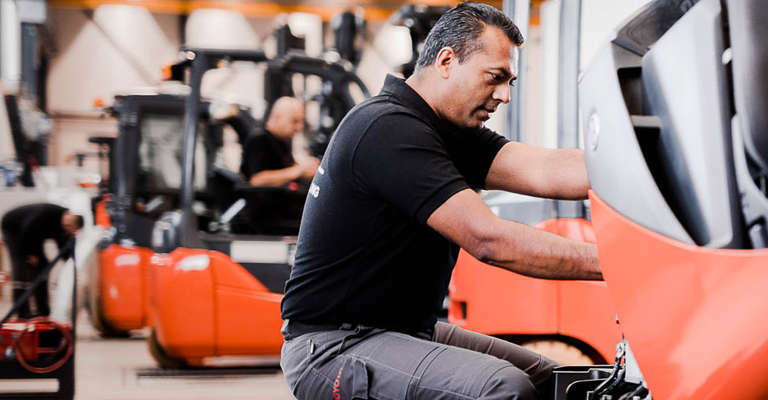 Following the foundation of Toyota Material Handling Italy in 2010, technicians had different levels of technical knowledge. “Our organisation had therefore decided to implement STEP (Service Technician Education Programme) to start mapping this knowledge. 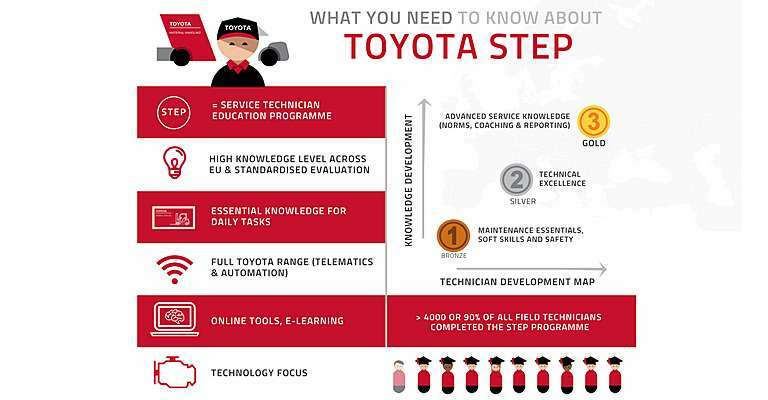 With this overview in mind, we were able to set up a first framework for the training aiming at closing the knowledge gaps and improving the service operations’ efficiency,” says Francesco Benazzi, Technical Service Manager at Toyota Material Handling Italy. What makes Toyota training unique? Another focus point of STEP is the evaluation across Europe, requiring technicians to pass an exam. This provides our technicians with certifications and access to next levels, and allows us to monitor the progress of all trainees and optimise as well as standardise our training offer. Making the development map visible to technicians motivates them to become an expert in their field, and to be a long-term partner of the Toyota family. On the other hand, as an organisation we can ensure our customers that the knowledge of the service we provide is always up to speed with the latest technology. Regarding the structure of the training, it’s important to first build a base, which is the Bronze level. This entry level touches upon the basic product knowledge of the Toyota range and their components, as well as safety & behaviour. 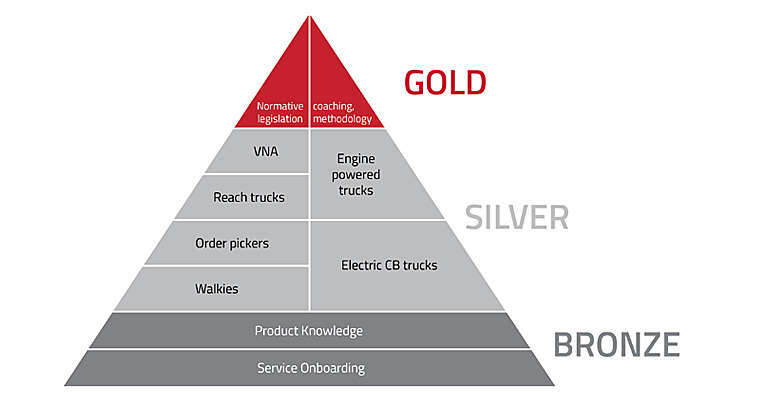 The Silver level then covers the deeper technical knowledge of all the different product families. 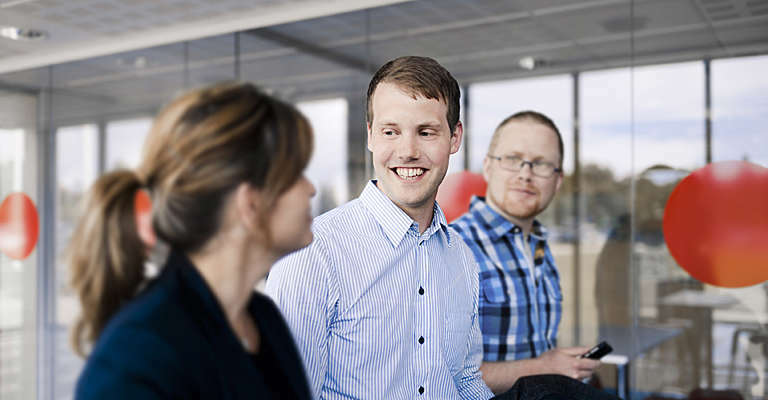 The highest level, Gold, prepares technicians to become team leaders and therefore focuses on more advanced elements of service: how to advise customers about norms and legislation, how to discuss solutions from a safety perspective, and so on. On the other hand, this part also focuses on reporting methodology and team coaching. In terms of methodology the focus is an on-site investigation, using 5 why-questions and implementing the right steps according to the PDCA (plan, do, check, act) approach. In terms of coaching, the technicians learn how to create their own Hoshin (long-term plan), and how to apply the training to real-life situations while adhering to the values from the Toyota Service Concept (TSC), preparing technicians to become team leaders. What’s in it for you as a Toyota customer? “STEP training acts as a quality reference for customers: it’s a transparent tool that proves you are working with certified, knowledgeable technicians. 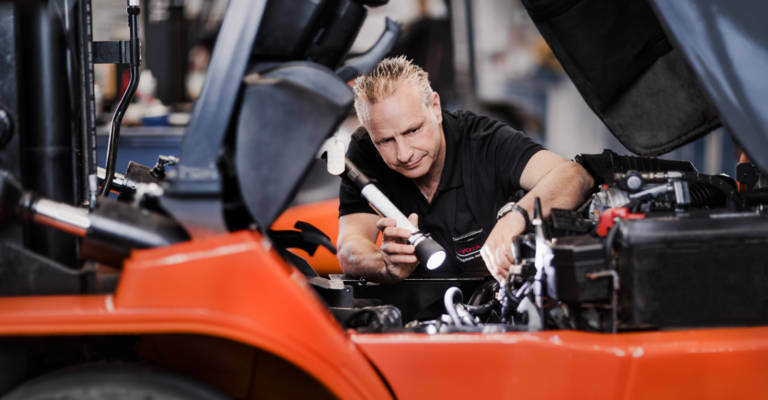 Our technicians are trained to work according to the customers’ point of view and take care of your entire fleet, so customers know they can trust the quality of our service. 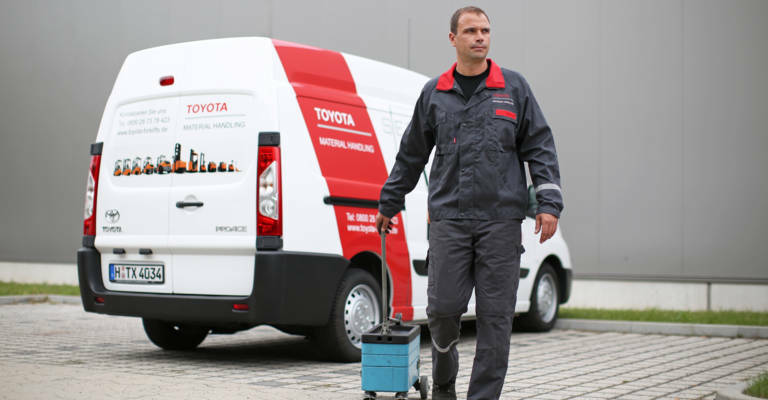 It also shows that Toyota believes in investing in their people, in the added value of training, and that we’re proud of our technicians and the service they deliver,” says Francesco Benazzi.